Steeped in ancient magic and mystery, the small town of Glastonbury, located in southwest England, is home to many mystical beliefs and legends. First inhabited around 3500 BC, it has long been a place of pilgrimage and is strongly connected to the ancient druids who lived there around 1000 BC. Since ancient times Glastonbury, along with Stonehenge and Avebury, have created a triangular world energy point in England. Glastonbury is known for the famous Glastonbury Tor and the nearby Chalice Well. 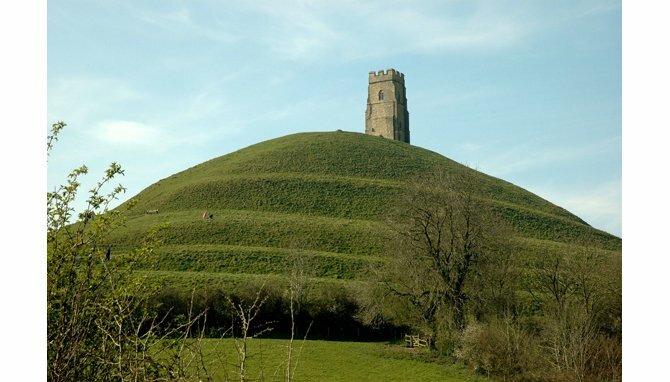 There are many legends related to Glastonbury Tor. Some people believe the Tor was once the Isle of Avalon since it has many associations with King Arthur while others believe it is a fairy hill. There is another strong belief that the Tor belongs to a faery king and the hilltop is a magical place of fairy spirits. A well known Celtic legend contends that the hill is hollow and the top holds an entrance to the home of the Lord of the Underworld, or Fairy King, Gwyn ap Nudd. There are other remnants of legends present in the names associated with this region. The name Avalon is a derivative from the name Avallah, a Celtic god of the underworld. The home of Gwyn at the Glastonbury Tor has been called a magic mountain, or Ynis Witrin, Isle of Glass in 300 BC in conjunction with an age old myth of a glass mountain where fairies reside. The Glastonbury Tor is also said to be the entrance to Annwn or Avalon which is the land of the fairies. In 1989, it was debated that the grasslands between the Tor and Chalice Hill had two water springs, Blood Spring and White Spring, which might have connected to the Chalice Well Gardens. Cavers have discovered tunnels near the back of the springs to indicate another entrance into the Tor, defending the idea of the hill being hollow. Unfortunately, many of those tunnels have collapsed over the years making further investigation impossible. The Chalice Well is a holy well located at the end of the Glastonbury Tor, in the beautiful Chalice Well Gardens. There is much evidence to support the theory that the well has been in constant use for at least 2,000 years. Some fairies are said to live within the well itself and the well water is said to have magical healing properties due to the residing fairies. 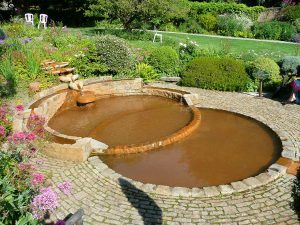 The Chalice Well also has been associated with the Holy Grail, because it was believed Joseph of Arimathea had hid the chalice in the well’s spring. The town of Glastonbury is home to many mystical beliefs but the one that remains constant is that of Gwyn and his land of fairies.